A fun way to make sure that your students know their Biology definitions! 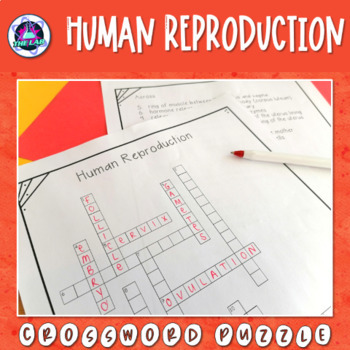 This crossword puzzle will test your students’ understanding and knowledge on Human Reproduction. I have a file with these ready for students who finish early or those who want to start on revision for a test or exam. Crossword puzzles are also great as a sub-plan. All of these products can also be found in my Biology Curriculum Bundle at a discounted price. * Simply click it and you will be taken to a page where you can give a quick rating and leave a short comment for the product.